Why are Tahquamenon Falls brown, like root beer? 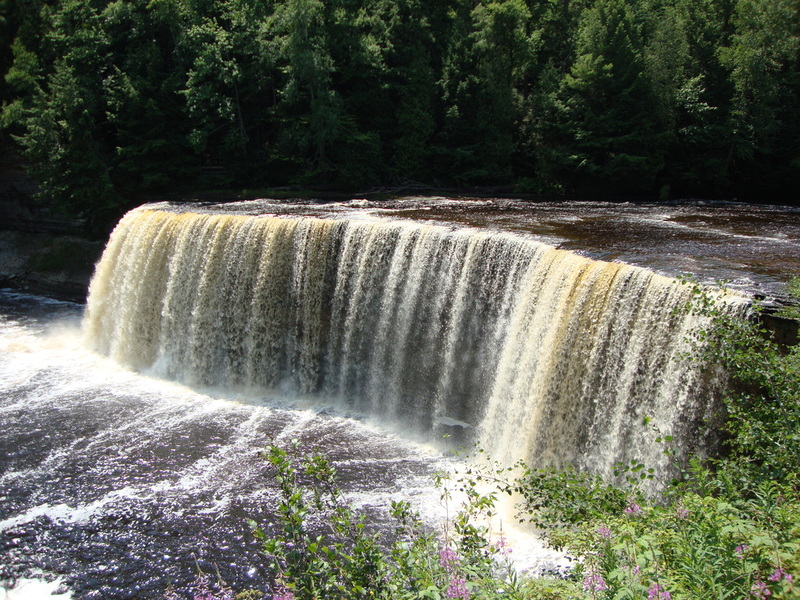 Tahquamenon Falls are also called "Rootbeer Falls," because of its golden-brown color. This color is caused by tannins (a reddish-brown natural substance found in some plants and trees) from nearby cedar swamps that drain into the river. In winter, the ice that accumulates around and in the falls is often colored in shades of green and blue. From Mrs. Black's vacation, summer 2012.